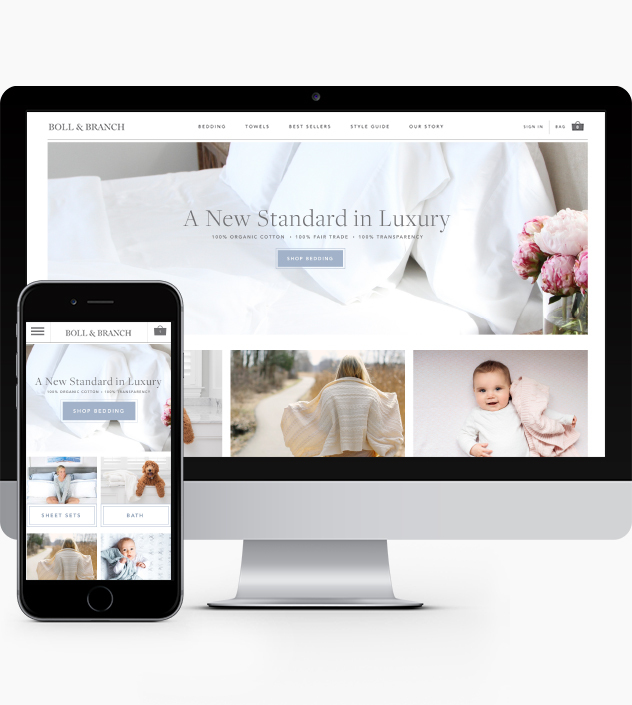 Boll & Branch, a luxury e-commerce linens company, was at a pivotal point in the company’s growth and needed to refresh its online presence to reflect the maturity of the company as well as the quality of it’s products. 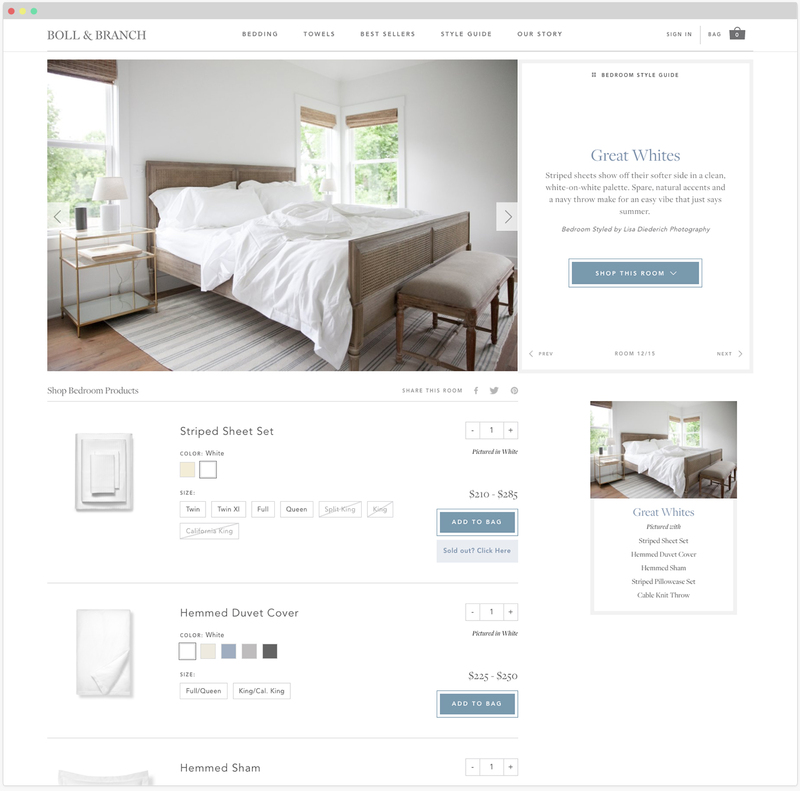 With the team at Brand Value Accelerator, I redesigned the e-commerce site with a focus on elegance, product discovery, and intuitive user experience. 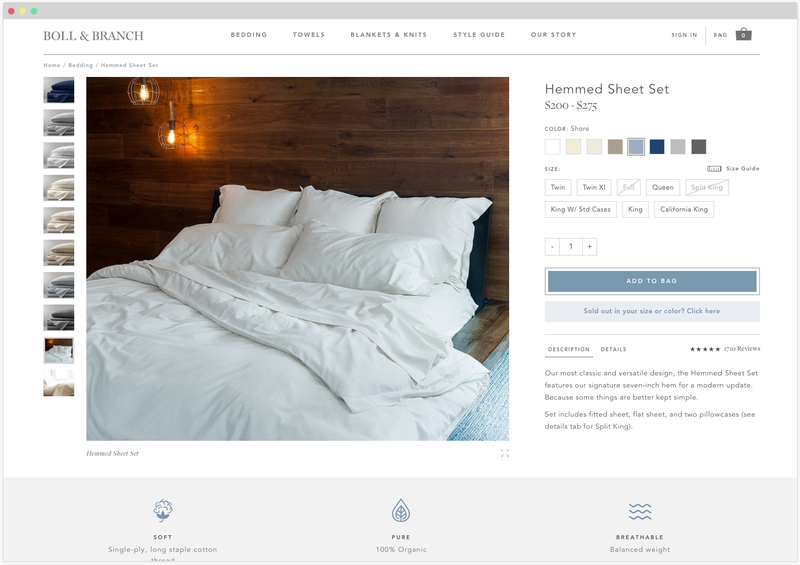 In an effort to better merchandise their products and promote blogger and influencer style, we created a custom “shop the room” experience, where users can instantly purchase all items curated within a beautiful interior. 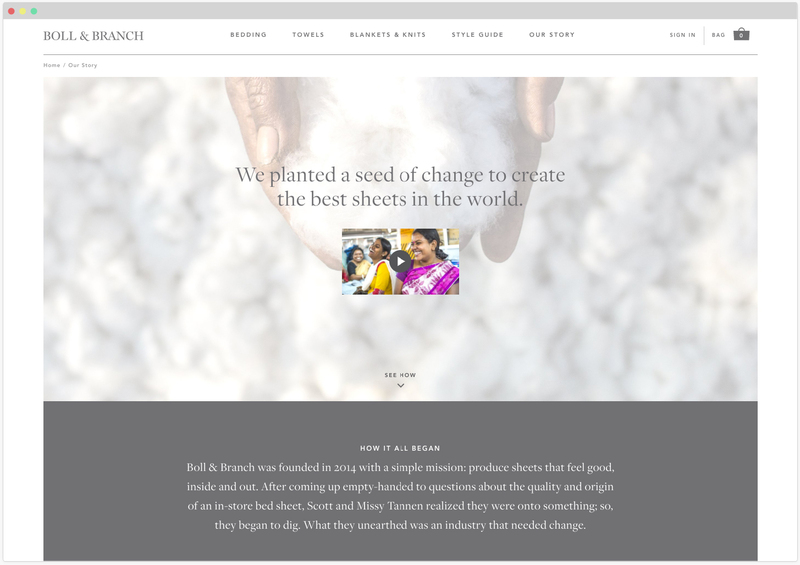 At the core of Boll & Branch’s business is their commitment to organic cotton and fair trade practices. We redesigned their “Our Story” page to showcase this commitment and give a glimpse into the history of this family run brand. 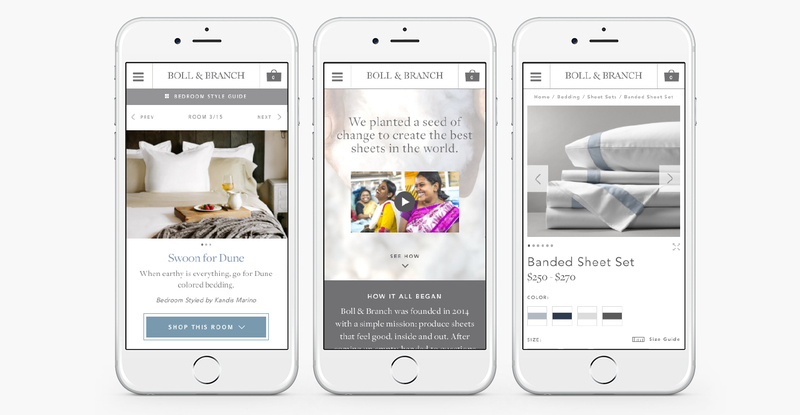 With the rise of mobile e-commerce, the site is not only responsive, but has specifically mobile optimized designs for ease of browsing and a focus on conversion.